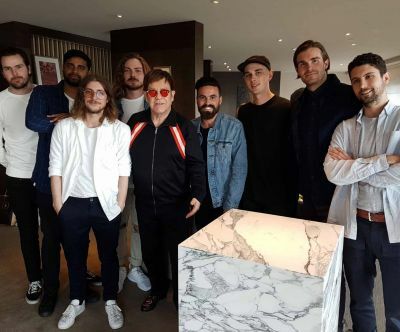 Alessandro Michele, creative director at Gucci and close friend of Elton, has been spending time digging through the star's archive. 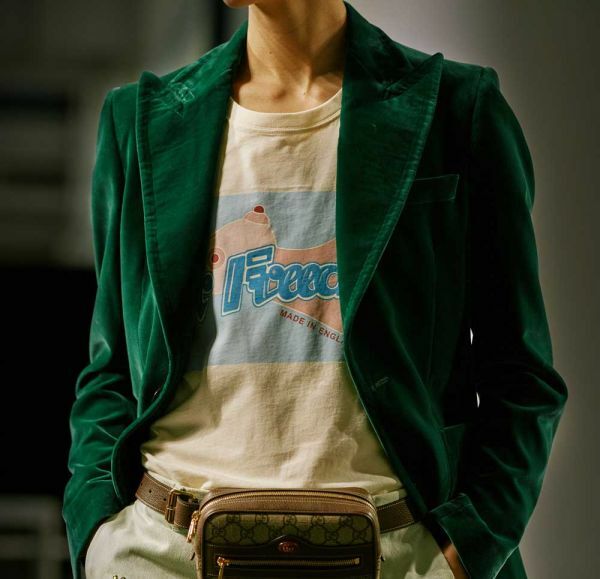 At the launch of the fashion house's Spring/Summer 2018 collection in Milan yesterday, it really showed. 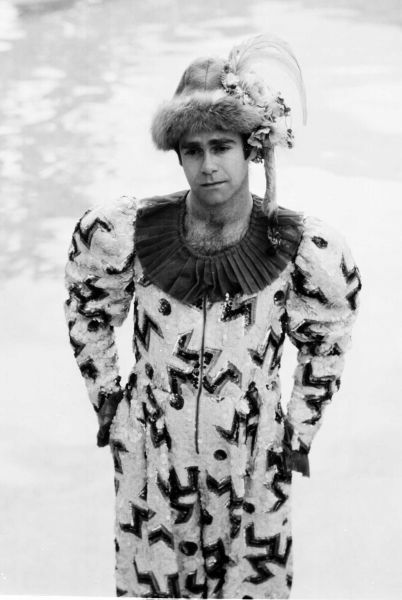 Elton's husband, David, told Vogue that Alessandro "has all the things [costume designers] Bob Mackie and Annie Reavey made. 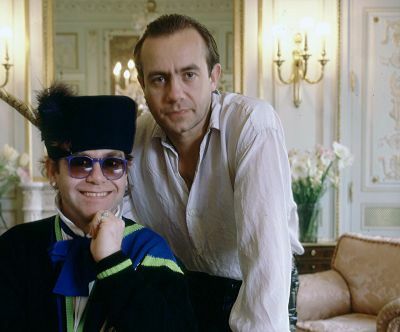 Elton loves Alessandro, and really appreciates what he’s doing." 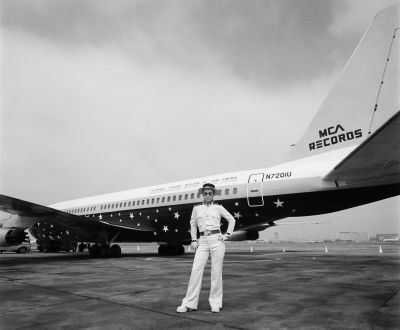 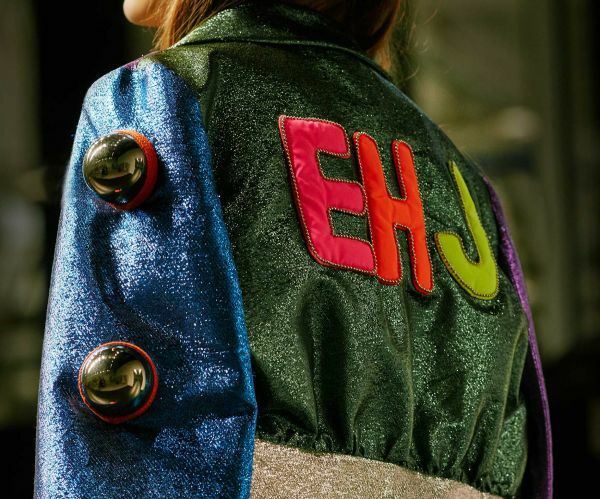 The collection includes a number of pieces featuring Elton's initials EHJ (The 'H', of course, stands for Hercules) and classic Elton album art, as well as plenty of sequins, sunglasses and shell suits. 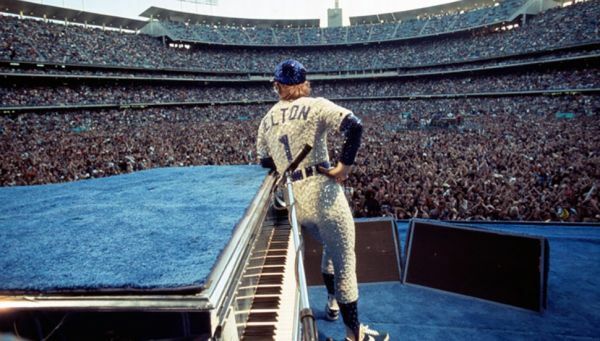 Check out some of the pieces from the collection below, plus a few bonus shots of classic Elton outfits too! 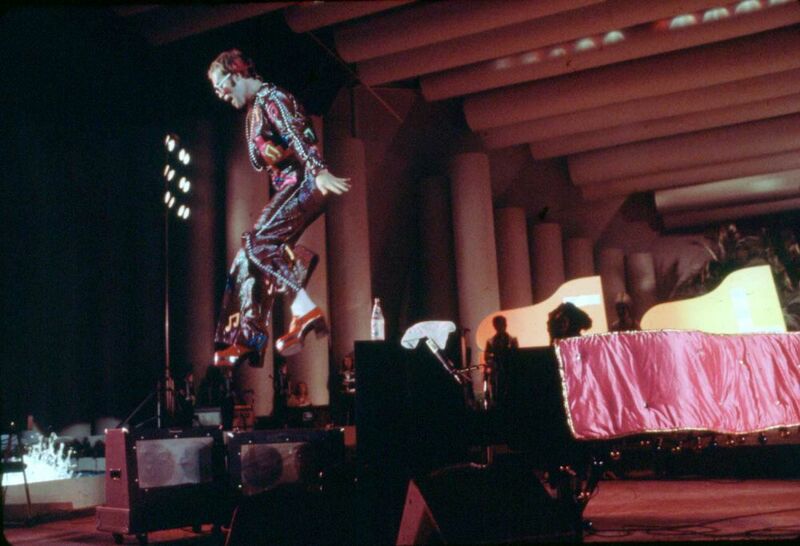 R: Jacket and pants inspired by an outfit by Annie Reavey, worn by Elton at the Hollywood Bowl in 1973. 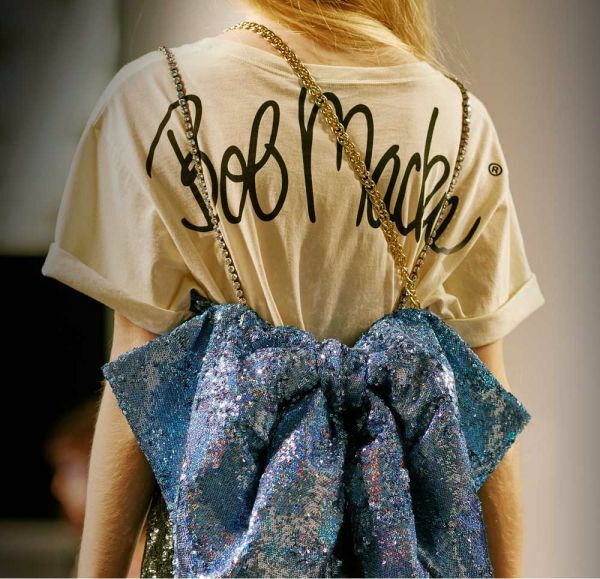 L, top: A T-shirt featuring Bob Mackie’s signature. 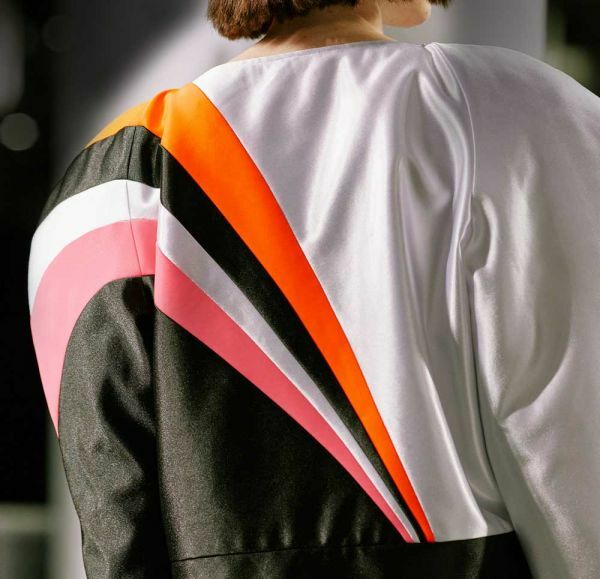 L, bottom: A puff shoulder striped top inspired by one of Bob Mackie's designs. 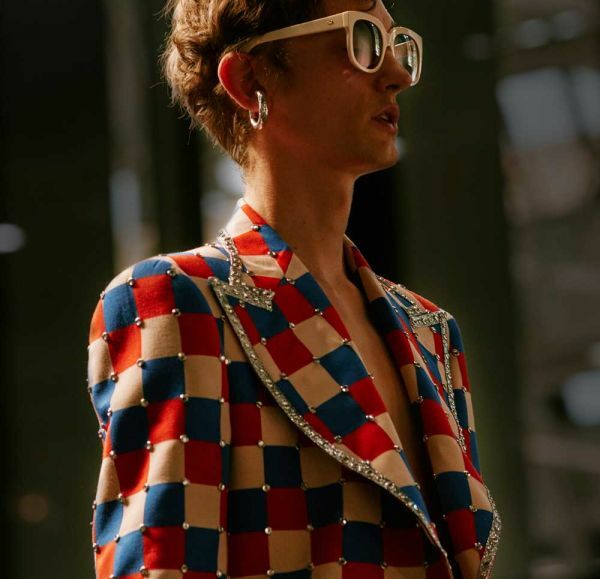 L: Checkered jacket with crystal studs, inspired by a design by Bob Mackie. 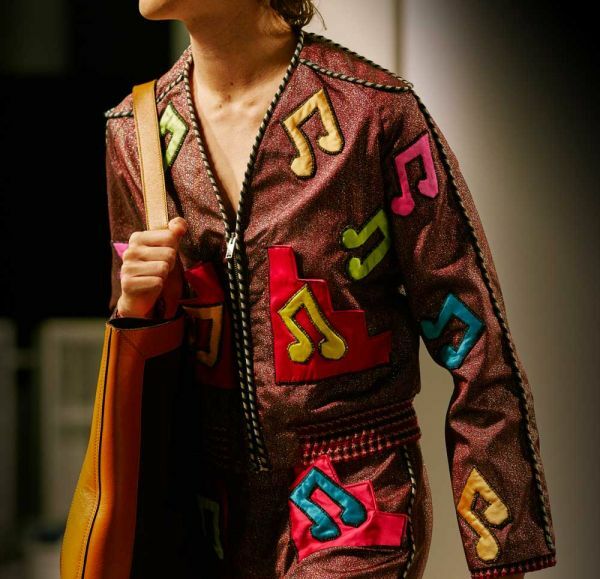 R, top: EHJ embellish the back of a lamé jacket, inspired by one designed by Annie Reavey in the 70s. 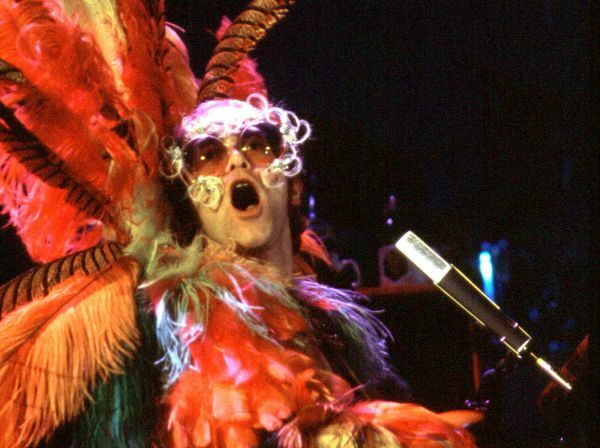 R, bottom: Mr Freedom was a London boutique open in the late 60s owned by Tommy Roberts, who Elton commissioned to create several looks for his American tour in 1970.